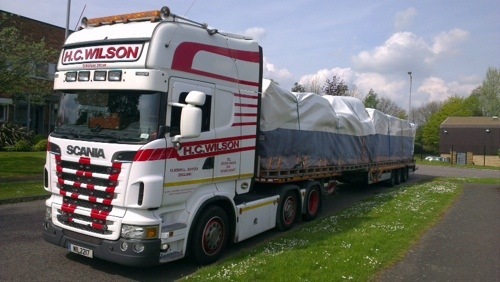 This picture perfect load is on European Charger, a Scania R560 driven by Geordie. 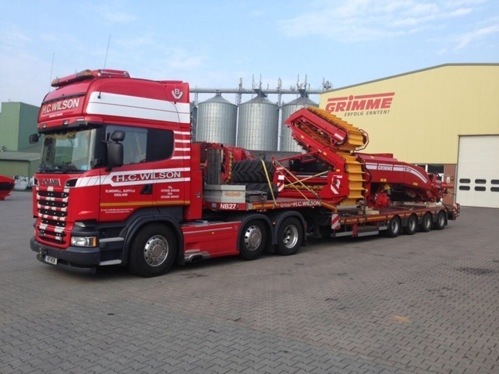 Loaded in Damme, D and on his way to York, GB to make his delivery. I don’t think you can get a better suited, better looking load if you tried. The 2nd DAF on the HC Wilson fleet is Daisy and her chauffeur Geoff. Loaded with a couple of Telehandlers on UK work from Cannock to Shefford. This big beast is European Coloussus driven by Mick “Fumpa” Farrow he of TV fame, he does snug. 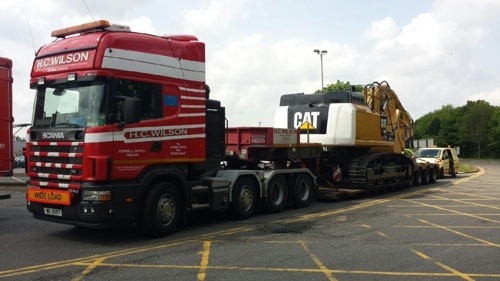 In this case it is not so snug but still a big ol’ excavator from Cannock to Ipswich for a boom conversion. Last but by no means least the youngest driver on Wilsons fleet, Matt Lamb and his delightful R620 Scania. 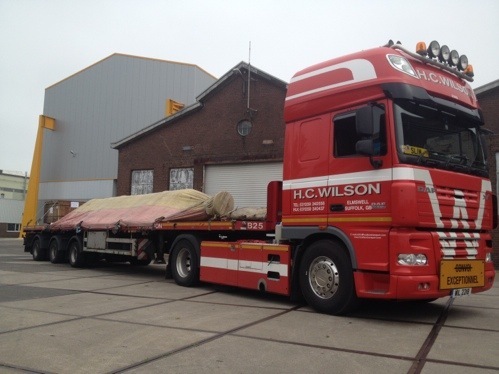 Loaded here with an 18m load of piping equipment loaded in Wellingborough, GB and heading for Zoetermeer, NL. How well she looks on a sunny day in Northamptonshire. 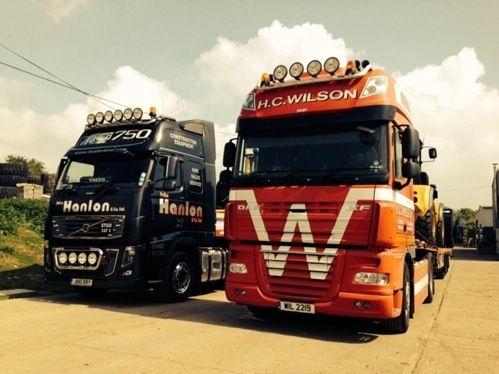 This entry was posted in DAF, Drivers Photos, HC Wilson, Heavy Haulage, International Mega Trucking, Scania by truckbloguk. Bookmark the permalink.